This recipe is proof that side dishes don’t need to be complicated or fancy. There are really only three ingredients at play here—unless you count the salt and pepper (and lemon juice, but I don’t even use that all the time) and yet this is one of our favorites. Honestly, I make it at least once a week, partly because it’s so delicious and goes with virtually any main dish you’re making, but largely because it is SO EASY!!! I don’t even think of this as a real “recipe” but when I was talking sides with a friend recently and I mentioned these beans, she asked all about it in detail and insisted that it needed to be on the blog. 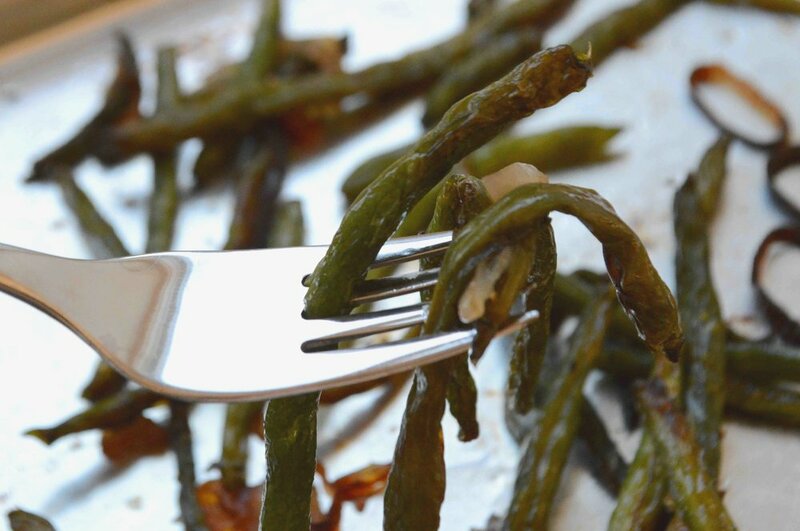 Now you too can revel in the magic of how a short roasting stint turns ordinary green beans and shallots into a memorable, caramelized, I’ll-fight-you-for-the-last-bite experience! Enjoy! Preheat oven to 500ºF. 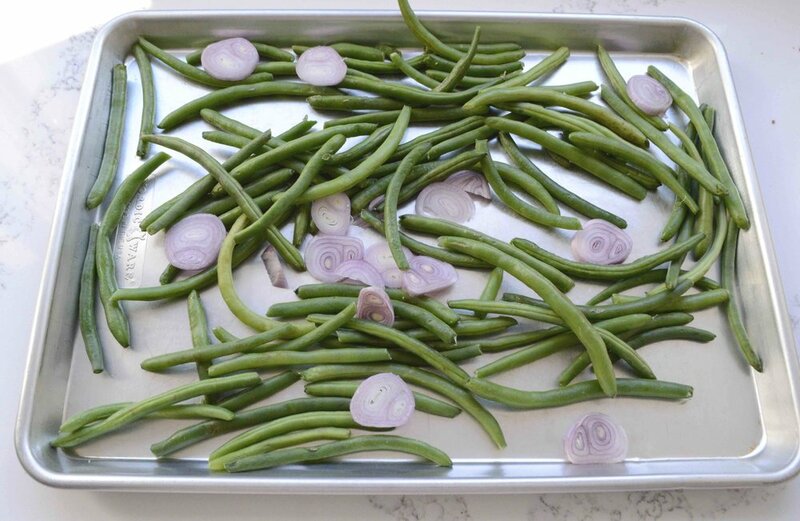 Divide the beans and shallots between two rimmed baking sheets and toss with the oil, using your hands to mix everything together. Sprinkle on a pinch or two of salt and pepper and toss again, making sure that everything is in an even layer once you’ve finished. Roast the beans for 12-15 minutes, shaking the pans a few times through the process, until the beans are tender and slightly charred. Remove from the oven and sprinkle on the lemon juice (if using). Toss everything together and serve immediately. Note: Recipe adapted from my own little head—if you can really call this a recipe!